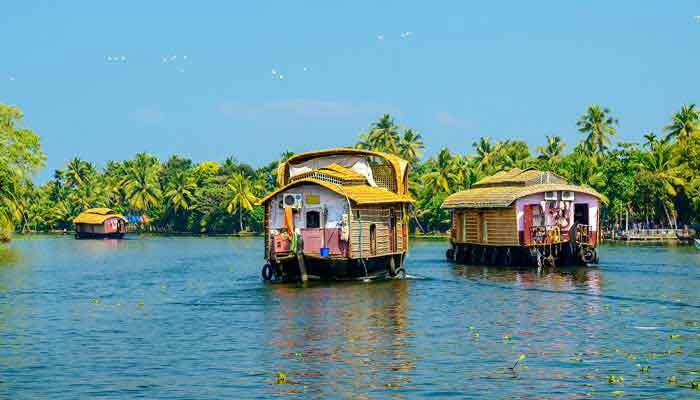 This is a seriously relaxing itinerary and a way to experience the backwaters at a very leisurely pace. 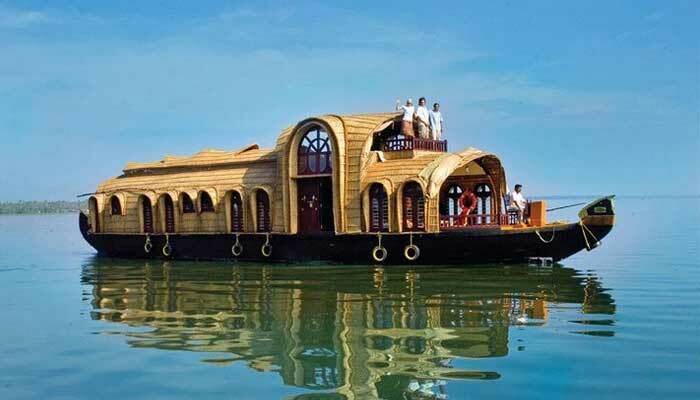 There are many potential routes on a longer houseboat journey, so this outline is deliberately quite generic- your tour planner can help you with ideas for which direction to head in from Alleppey. Depart Cochin/Fort Cochin mid-morning and drive down to Alleppey to board your houseboat at 1200. Set off and cruise the backwaters for some hours this afternoon (with a break for lunch, the first of many delicious meals which will be prepared on board by your crew) before mooring for the night. Overnight on the houseboat. Four whole days on board your boat- by the end you may never want to leave this idyllic lifestyle. Each day your crew will take you around different parts of the backwaters, visiting villages, temples, churches, agricultural areas, and more. You’ll see vignettes of local life from toddy tapping (the gathering of palm spirit from coconut trees), fishing, duck-herding and a lot else. Locals will wave as your boat drifts by, and you’ll be able to explore some of the many smaller rivers and channels as well by means of one or more canoe rides. 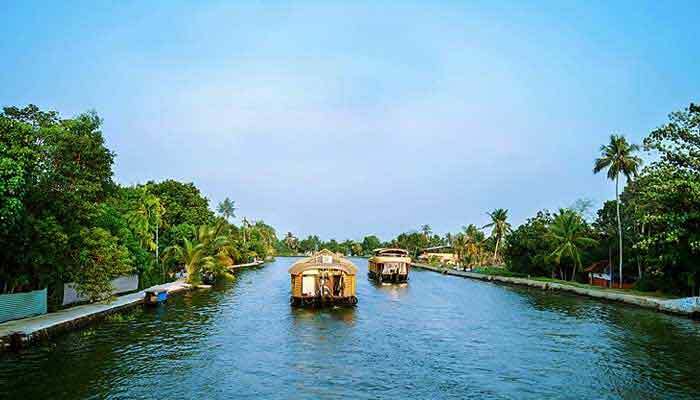 Ditch the houseboat from time to time and walk or cycle along the pathways which line the backwaters. You’ll have no shortage of options, but of course for many people the best choice of all is to tune out completely, disconnect from the modern world and just relax. Four more nights on the houseboat.